Just making my lunch I stood away to admire what I was about to eat and it made me think about CVs – before you ask, I don’t eat, sleep and live CVs but I am always thinking about new ways to bring a professional document to the forefront of a recruiter/employers mind. So, my comparison comes down to how you draw-in a potential employer. Often hiring managers have little time to review CVs and lunchtime proves to be a good time to run through a short-list, it will have to be good to gain uninterrupted attention! Your CV is next to be reviewed, have you thought about what your USP (unique selling point) is? 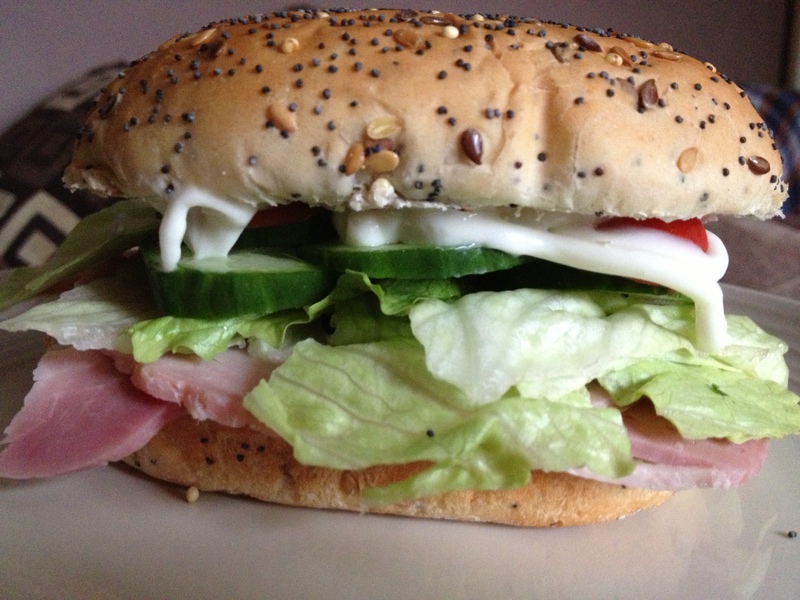 Have you made a sandwich of all your skills and experience which would spur a hunger to want to try it? Your CV can work just like this, looking attractive from a distance and containing all the ingredients to satisfy the palette requirement that day. The sandwich looks so good, anyone being shown it would want to take a closer look. Life is about choice and some jobs require more or different meat, some require a great deal of salad with the right amount of mayo whereas mustard is key for other roles (or rolls). This is why it is important to make sure that you have a truthful CV which showcases your actual skills and abilities in an attractive and easy to identify way. By producing a well written piece which clearly contextualises your skills rather than a dull list which tells the reader nothing, you are starting to make the document interesting. Put yourself in the hiring managers’ shoes – busy and needs to create a shortlist for interviews. Is he/she going to pick a CV which out of hundreds looks the same and doesn’t tell him how you work or what your true skills are or will he/she pick a CV which shines above the rest because it intrigues him/her by ticking the boxes of requirements AND says so much more? Do not be fooled that a lengthy CV will do this either – no one wants to be over-faced by a large meal right! Keep it to a size which will say all the right things in a clear and concise way. Previous PostHow to Reduce Anxiety During Your Job Interview – Guest PostNext PostAsking for help – why does it seem so hard?